Assoc. Prof. Tzanko Tzanov is the leader of the Applied Biotechnology research at the GBMI. Dr. Tzanov is a chemical engineer with large internationally acquired experience in biochemical functionalisation of (bio)polymers for industrial and biomedical applications, bioremediation of industrial effluents, enzymatic synthesis, polymerisation and coating. His post-doctoral research has been granted with Marie Curie and Ramon y Cajal fellowships. 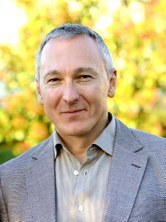 Dr. Tzanov has been participating in numerous industry-driven European research projects in the area of applied biotechnology, nanotechnology and health, several national and industry-funded projects, the CYTED programme for collaboration with Latin America, and the European research network COST. He is author of more than 100 peer reviewed papers and 8 patents in the area of materials and applied biotechnology.